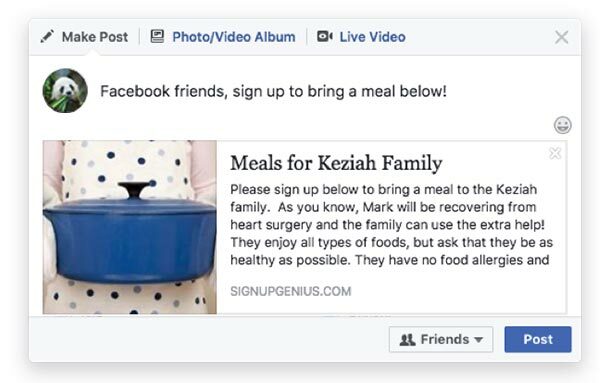 Facebook is a powerful network that connects people — and a helpful tool whether you’re recruiting volunteers for your nonprofit or coordinating meals for a family in need. Check out three ways you can easily share your sign up on Facebook to increase your reach and event’s success. 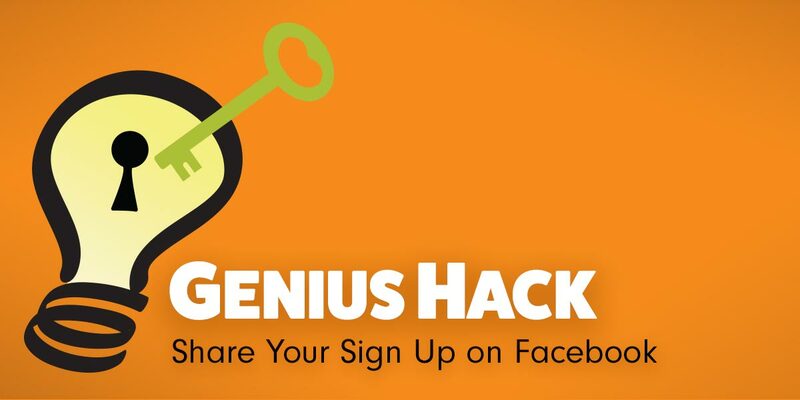 If you want to share your sign up as a Facebook status, enter the unique URL into a post on your timeline or on a group page that you manage. This will create a pop-up icon that others will be able to click and view to access. Once the icon appears, you can delete the URL (people will still be able to click on the linked icon) and add any additional text. If you need to locate your sign up link, log in to your account and click on the live sign up that you want to share. The URL in your web address bar is the unique link to the sign up. When you create an event on Facebook, you can include links in the event description. Simply paste the unique URL into the text description, and people can sign up from there! 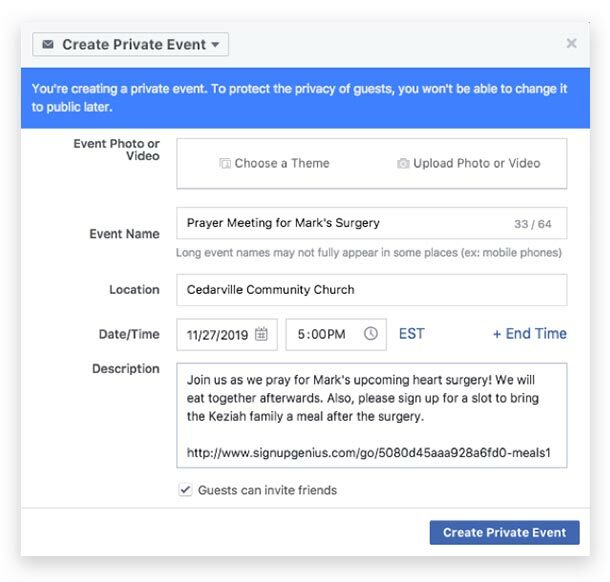 This is helpful if you want to invite specific Facebook friends to a party such as a potluck at your house or ask for volunteers at an event such as a local 5K race. You can also make your event private for a small group or public to attract more people. After the event is created, you can also share the sign up link as a post within the event (similar to a post on a group page). To set this option up, go to the global settings page in your SignUpGenius account (Settings > “Sign Ups” tab). At the bottom of the default settings, you’ll see “Automatically add people who sign up to the group.” If you want the setting to apply to all sign ups, check the box and “lock” the lock icon. If you only want the option on a specific sign up, uncheck the box and “unlock” the lock icon. If you left the global setting “unlocked” so that you could choose which sign up to apply it to, head to the sign up you’re working on and go back to Step 5 (Settings) of the sign up creation wizard and check the box under preferences. Need even more ways to share your sign up? Check out these tips.